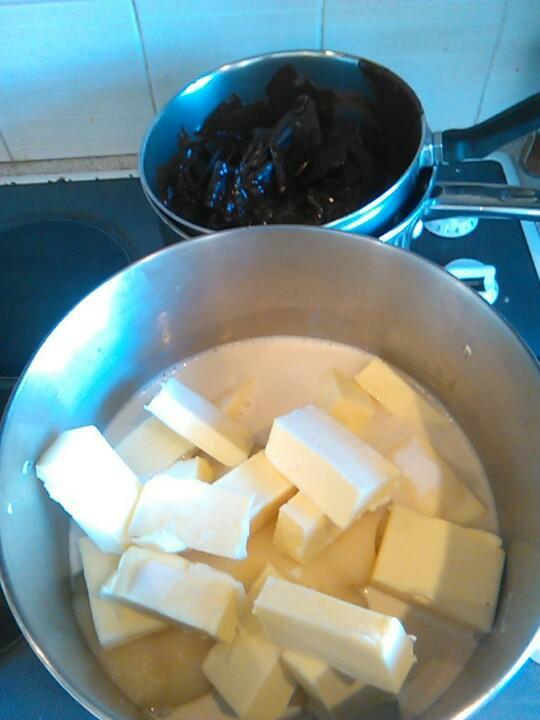 I have made just about All The Fudge In The World. I've added it up, and all told it's going to be 75 pounds (there are a couple left to do this weekend). That's a lot of fudge. 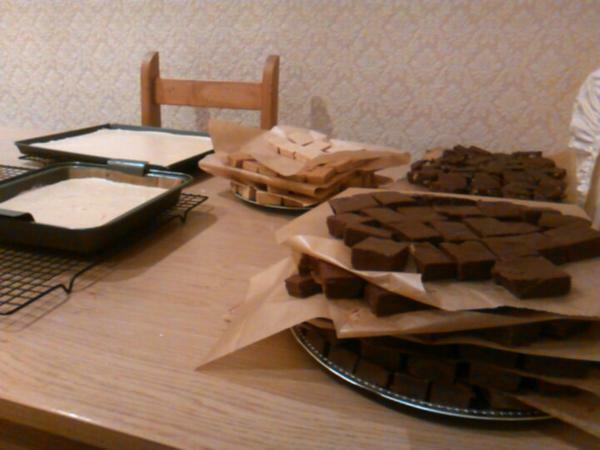 A LOT of fudge. Prepping a 12 pound quadruple batch. This is NOT for the uninitiated: I came very close to screwing this up. Expert level fudge-maker only. This in no way conveys just how much fudge is on the platter. 12 pounds is a huge amount of fudge. 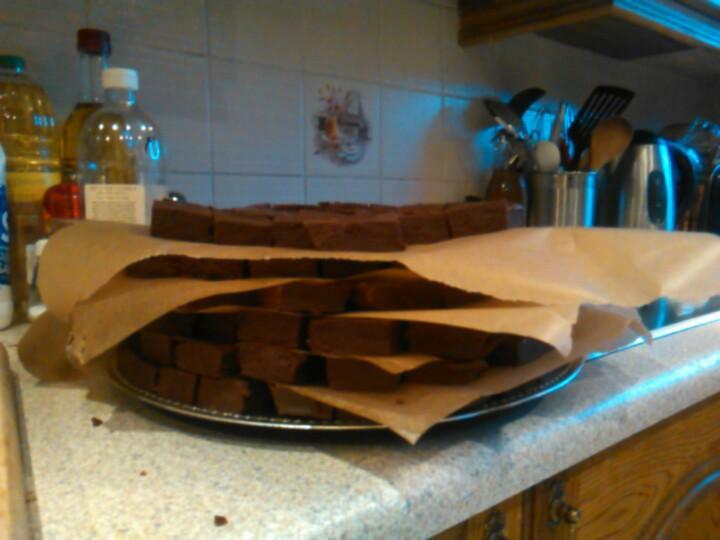 The plate of fudge/previous picture holds as much as is in those two pans, plus another of the large pan's worth. 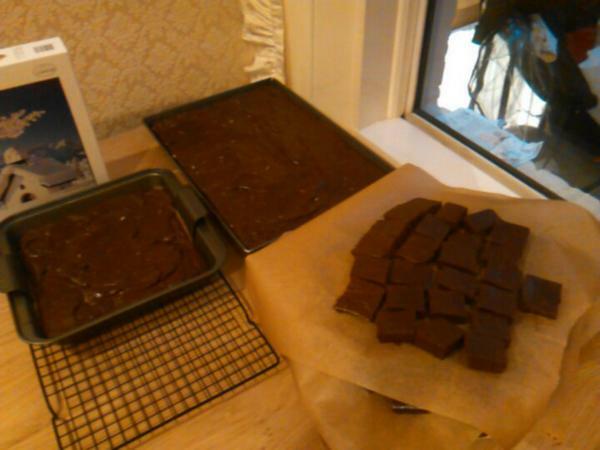 About 30 pounds worth of fudge. 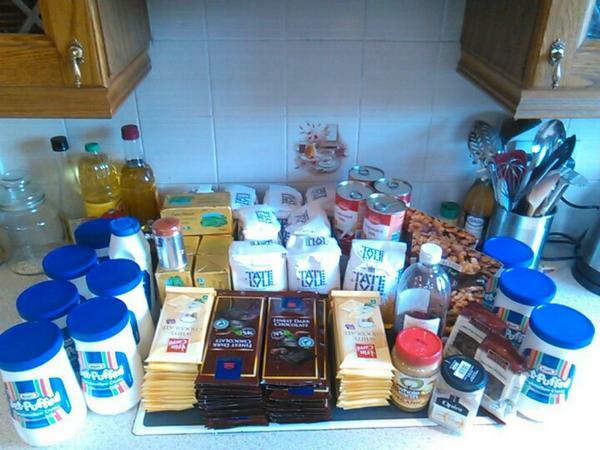 I think I'm most flabbergasted by the pile o' ingredients. Holy heart attack, Batman! *If* people are interested? **IF**?? I have now tasted your fudge. There is no "if"
This has made me excited about offering a 'bake sale' tier for my next Kickstarter. I'm taking a 2 pound sampler of your Fudge (chocolate, chocolate walnut, maple ginger) to Big Bad Con this weekend, and sharing it with fellow gamers. Sharing it, yes! Not hiding in my room and devouring it all. What a strange thing for LJ to suggest! It's *very* kind of you to share it! I admire your fortitude!